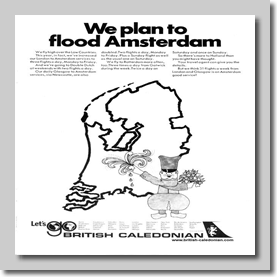 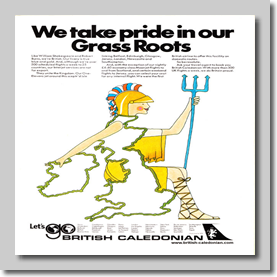 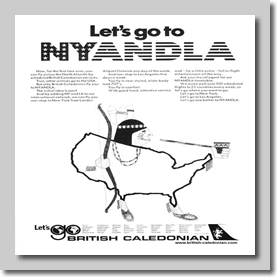 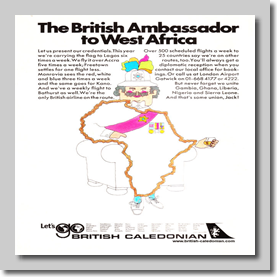 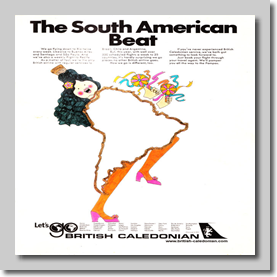 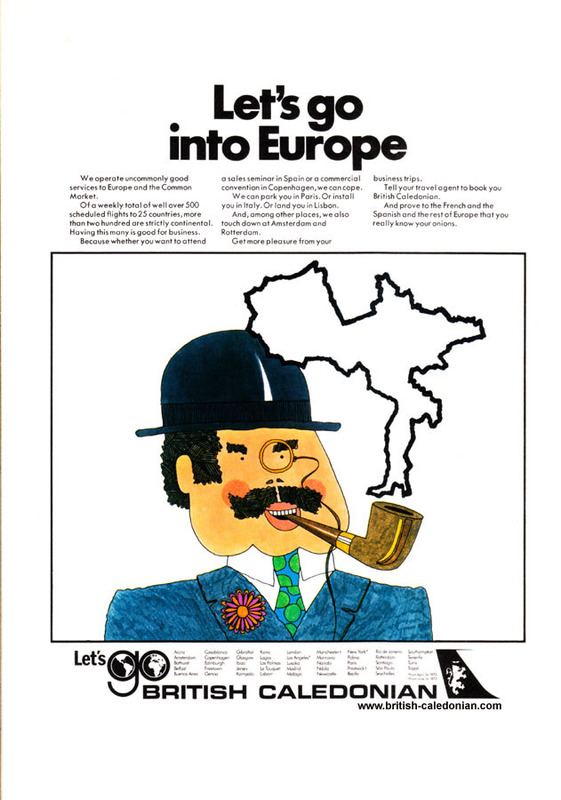 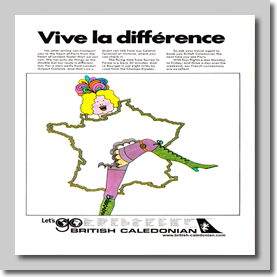 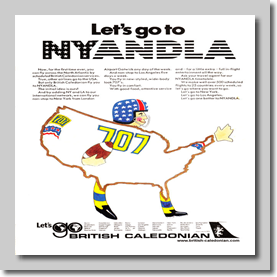 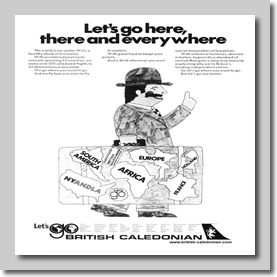 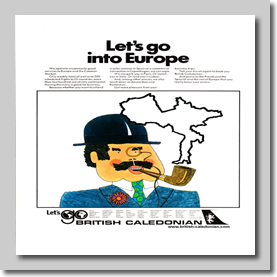 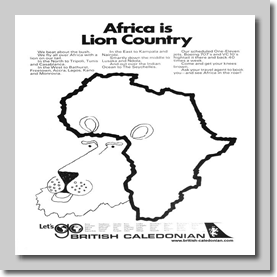 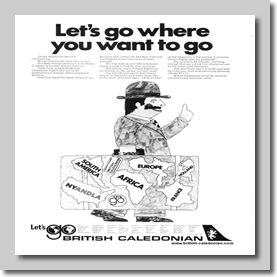 Here we have some of the country based advertising used by BCal in the early 1970's. 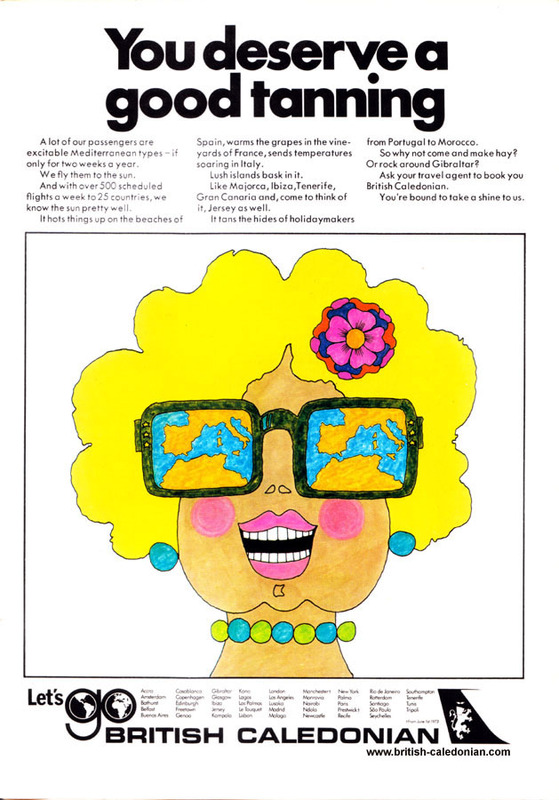 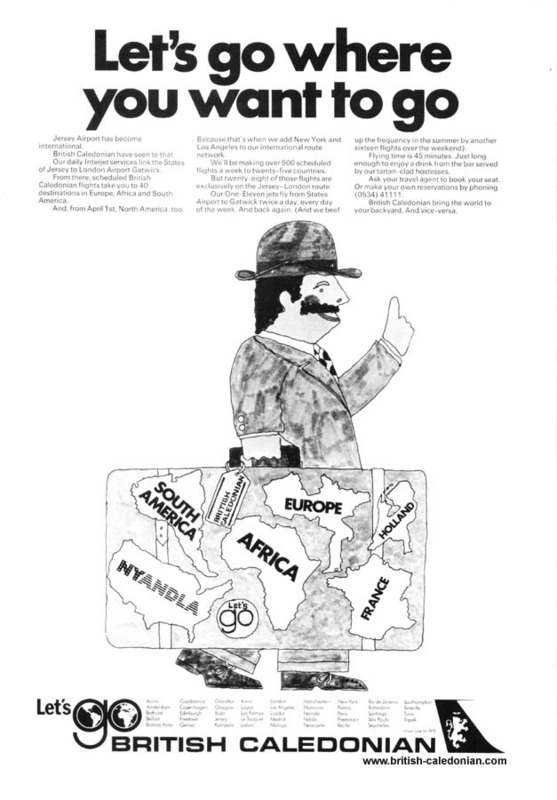 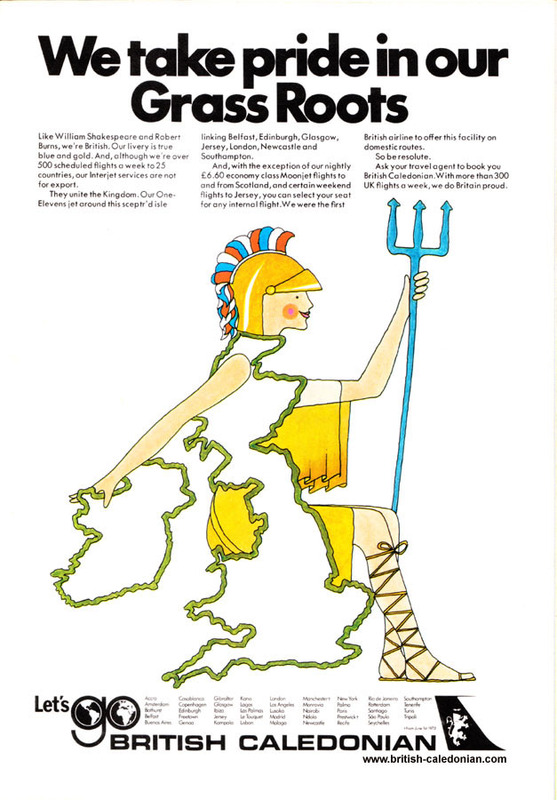 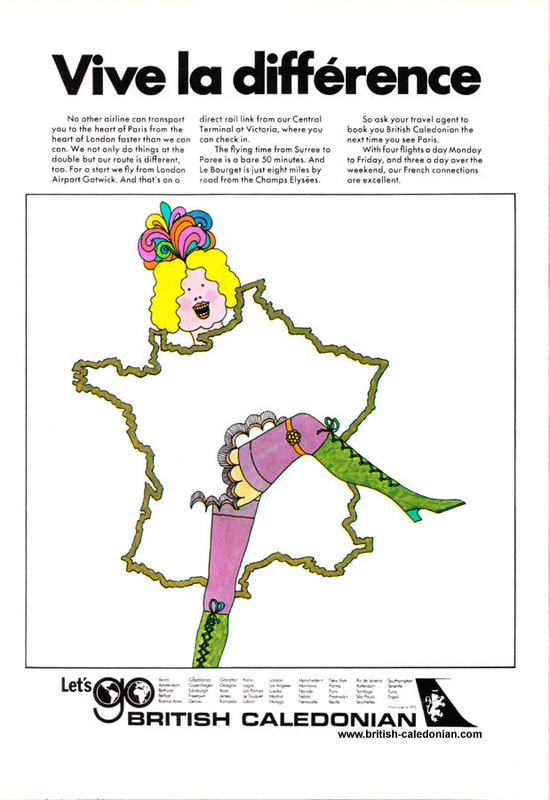 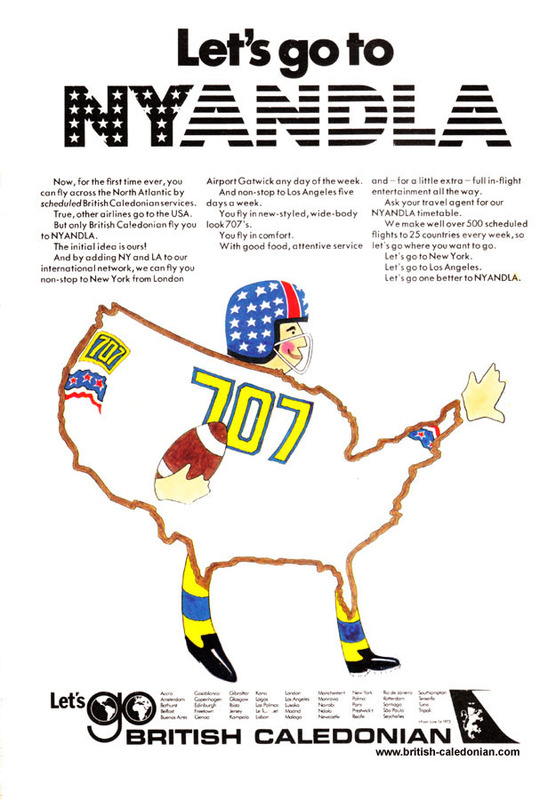 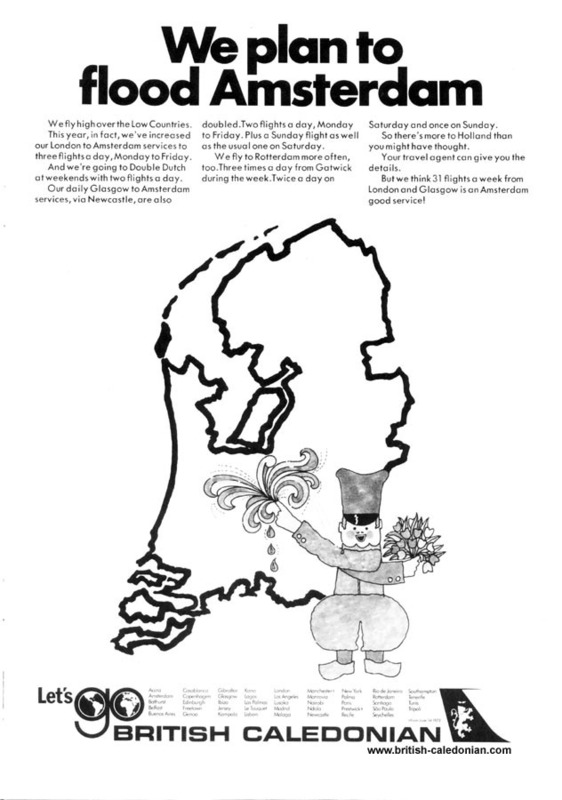 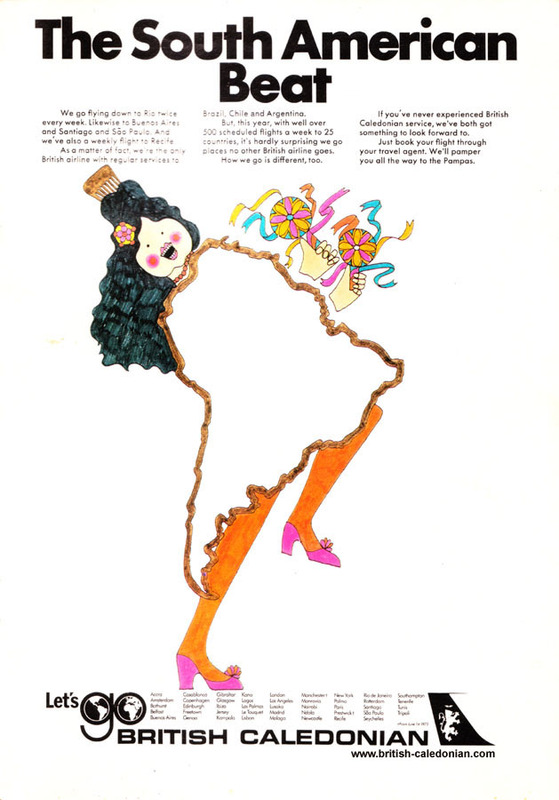 These are all from 1973 and all were contained in the No.1 issue of Lets Go, the new inflight magazine. 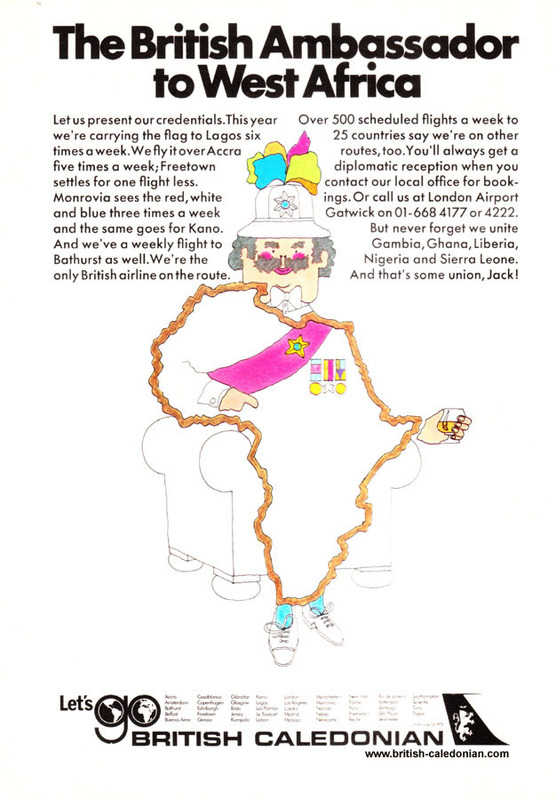 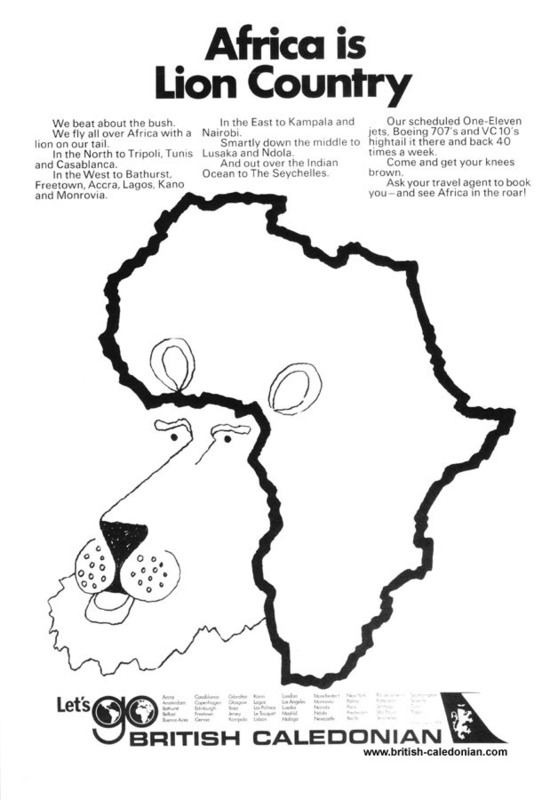 I think the use of the countries and continents works really well and someone did a super job coming up with that idea. 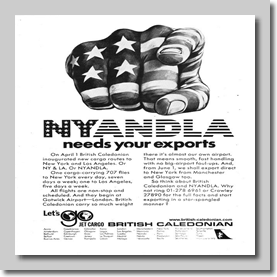 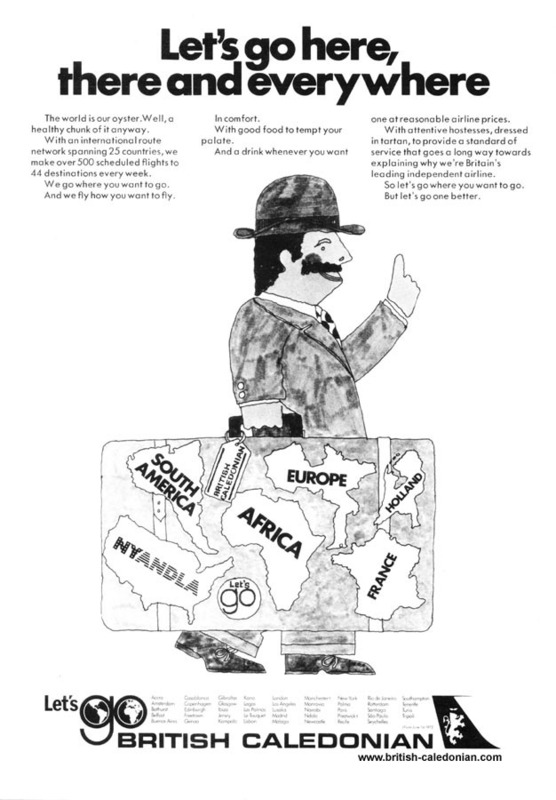 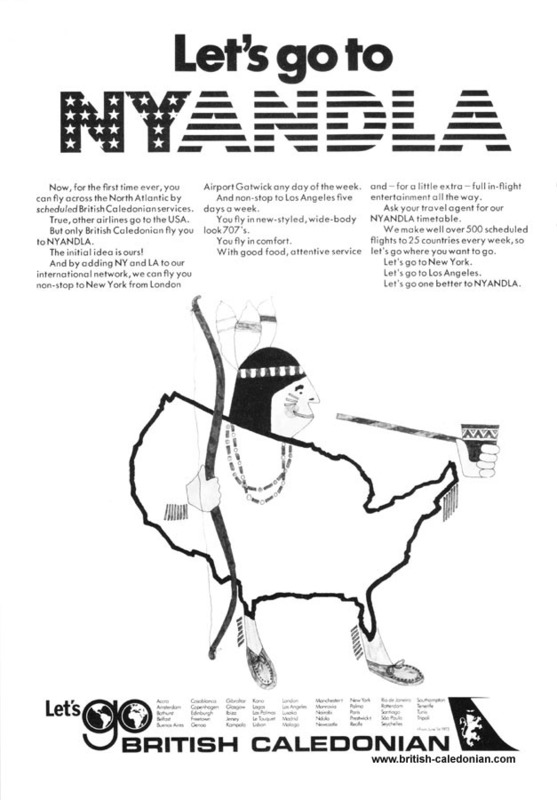 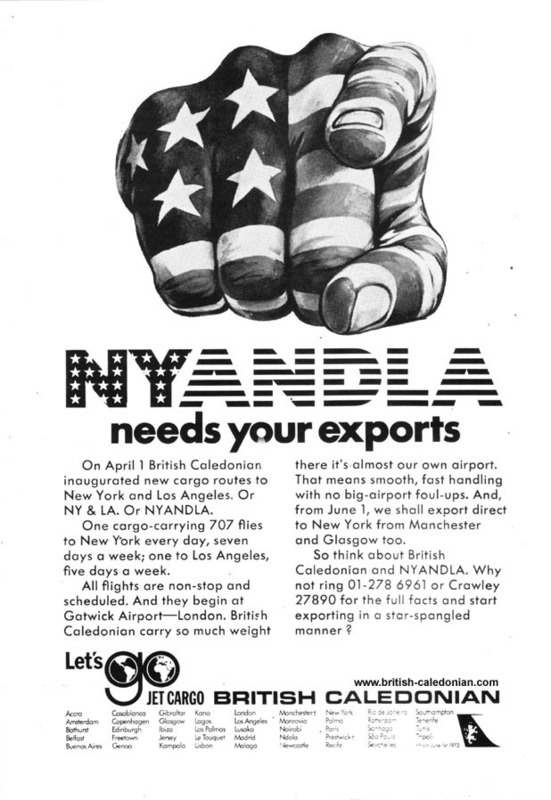 The NYANDLA Needs Your Exports is cleverly a take from an Uncle Sam poster and the wording used on many is definitely worthy of a read; many a play on words used. 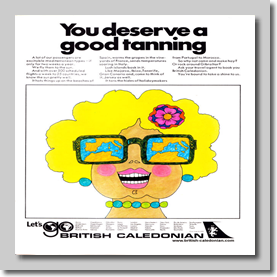 My thanks to Seona Craig for sending in the Lets Go No 1 that gave rise to this great collection of advertising posters.